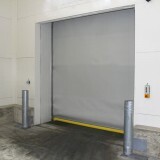 Problem – Especially in temperature-controlled warehouses, with cold and therefore slow air, the use of high-speed doors makes a lot of sense. 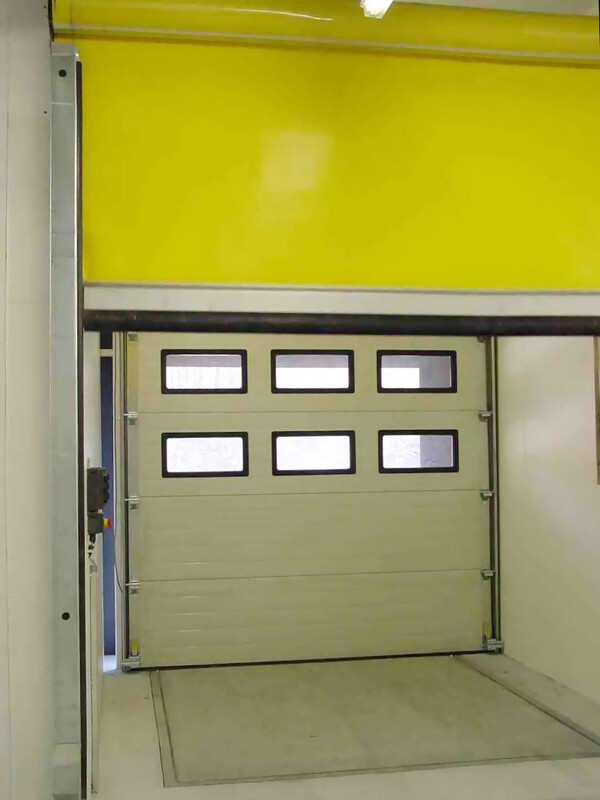 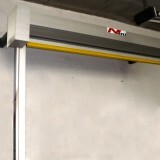 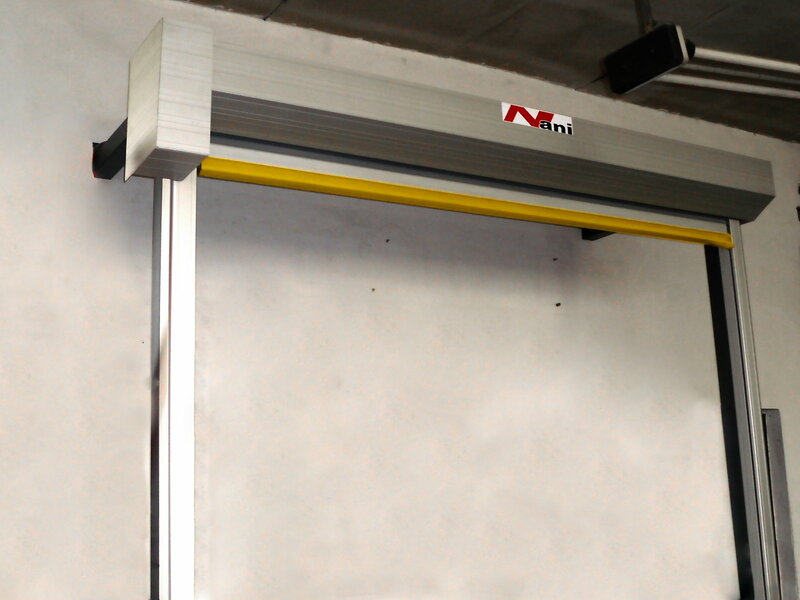 The working environment with partially up to -30 ° C to results in high demands on the used components of the high-speed door. 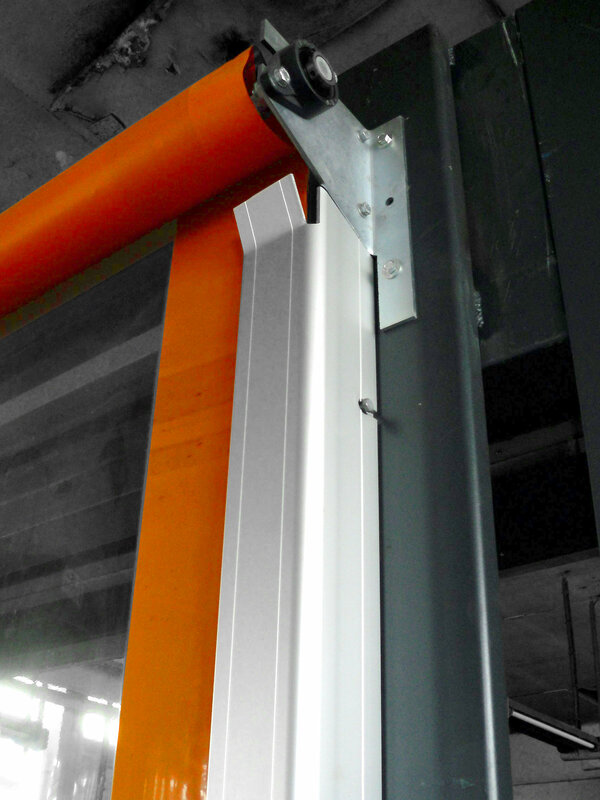 In terms of speed, insulation, crash capability and functionality in general, many different targets have to be combined in one product. 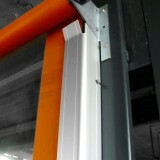 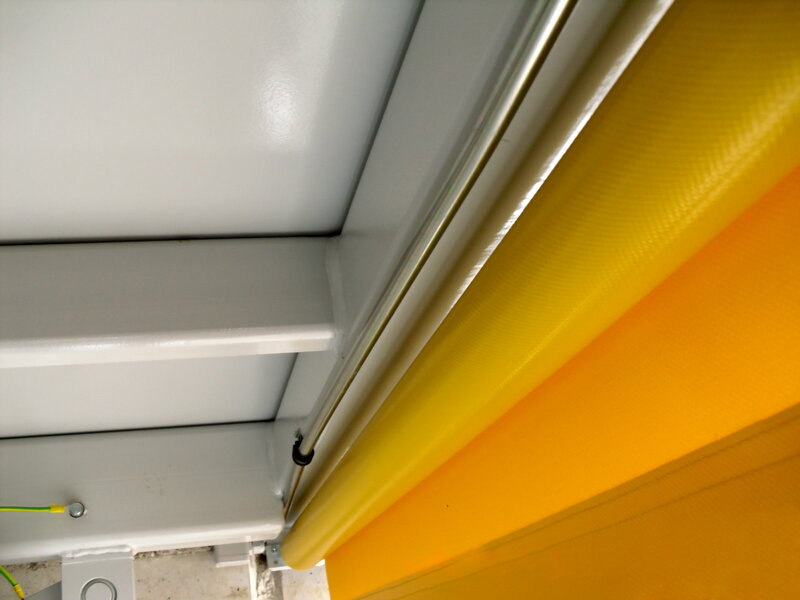 In the past two different products have been used here: either sliding doors, which are characterized by good insulation, but run slower, or curtain high-speed doors, that run fast, but which do not have an optimal insulating effect. 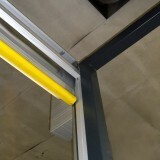 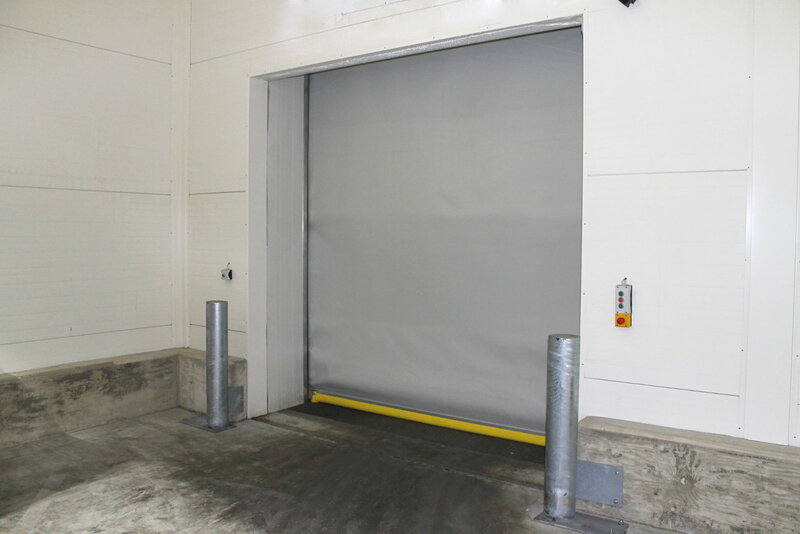 Solution – The solution for this can be met by a few different Deep-Freeze High-Speed Doors, that combine the beneficial properties of sliding doors with those of curtain high-speed doors. 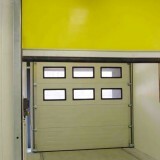 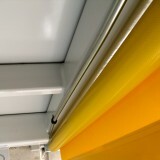 For a modern deepfreeze-high-speed door it is especially necessary, that it can be installed on both the warm and on the deepfreeze side. 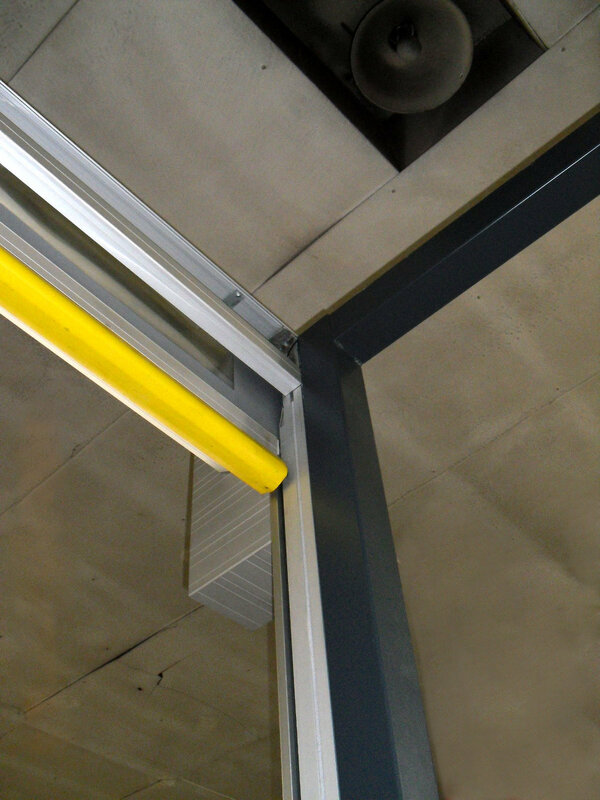 We work together with different manufacturers that have can offer different appropriate solutions.